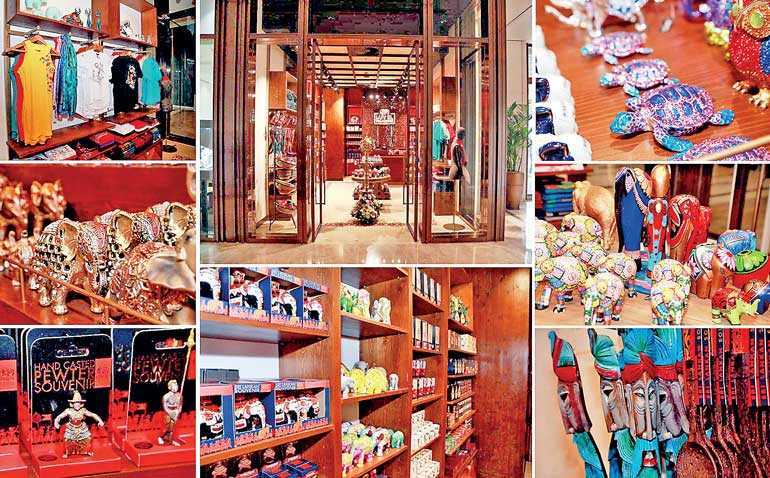 ‘Luv SL’ – Odel’s unique tribute brand that celebrates Sri Lankan creative expression through merchandise – has opened an outlet at the Shangri-La Hotel in Colombo, offering visitors a select range of high quality souvenir products truly evocative of the paradise island. Located at Level 2 of the city’s most trending hotel, the new outlet is branded ‘Luv SL Treasures’ in recognition of its carefully crafted product range, which caters to three main customer segments – the adventurous traveller, the expatriate, and the local shopper – all looking for items that are genuinely representative of destination Sri Lanka, at optimum prices. A sub brand of Luv SL, Luv SL Treasures, as its name suggests, features a select range of unique products chosen for their evocative attributes. Extra care has been taken to ensure that the motifs are representative and attractive, and that the locally-sourced products tell a story of dedication to a culture of artisanship that has survived centuries, making many of the items on offer worthy of the title treasures. Among the most eye-catching of these products are exquisite silk scarves in traditional elephant, floral and iconic cultural motifs, stone inlaid figurines in brass, coconut shell jewellery, souvenir mugs, pens, cloth bags and purses, wood block photo holders, colourful bandanas and similar items designed to be uniquely reminiscent of destination Sri Lanka. Taking pride of place is a signature Luv SL Treasures collection of metallic crystal-encrusted figurines on the lines of the masterpieces created by the famed Russian jewellery maker Fabergé. The Luv SL Treasures outlet has its own unique look. While the signature wooden interior of the regular Luv SL stores has been retained, a mirror adorned with traditional ‘liyawel’ trellis work, and a rustic tiled floor with hand-painted floral motifs evocative of colonial Dutch décor gives the interior a more luxurious ambience. This is the 10th Luv SL outlet opened by Odel in Sri Lanka. The brand was launched with the intention of featuring a plethora of Sri Lankan inspired fashion, accessories, and souvenirs that instil love for the country, and advocate all things uniquely Sri Lankan while supporting efforts to enhance the destination’s tourist attractions. The standalone Luv SL stores combine concrete and wood for a modern yet earthy appearance that uses shades of brown, black and silver. The colourful, distinctly tropical materials and motifs imbued in traditional Sri Lankan objets d’art have been utilised to produce a wide spectrum of products ranging from casual clothing and accessories to stationery, mugs, picture frames, toys, cosmetics and toiletries, curios and even confectionery retailed under the Luv SL brand. Besides the new ‘Luv SL Treasures’ outlet at Shangri-La Colombo, the Luv SL chain comprises of outlets at Odel’s Flagship Store at Alexandra Place, the Dutch Hospital Colombo, Pedlar Street – Galle Fort, Jetwing Blue Hotel Negombo, Queens Hotel Kandy, CentaraCeysands Resort & Spa Bentota, the Pinnawala Elephant Orphanage, the Bandaranaike International Airport Katunayake and Crescat Boulevard Colombo.